Home › Home and Kitchen › Bogzon High-Grade Household Stainless Steel Electronic Kitchen Scale Metal El..
Bogzon High-Grade Household Stainless Steel Electronic Kitchen Scale Metal El.. Weigh up to 11lb (5kg); Division: 0.05oz/1g; Perfect for baking, cooking and jewelry. Offers four different weight modes: Grams (g), milliliters (ml), ounces (oz), pounds (lb) for weight translations and easy touch buttons. Features auto-tare, quick unit conversion, backlit display and low battery indication. Designed with a sleek stainless steel platform, The stainless steel platform is fingerprint resistant to make cleanup and storage a breeze. No more fuss or clutter necessary. Made for easy storage and lightweight portability. Modernize your home kitchen with user-friendly portioning simplicity. Easilymeasure your garnishes and ingredients by grams, milliliters, pounds andounces with the quick unit conversion button. The digital scale features ahandy auto-tare function so you can easily measure ingredients in a dishwithout having to do any math, so you can cut down on prep time to enjoy yourmeal. The scale is designed with a smooth stainless steel platform for easycleaning and maintenance. Accent your countertop with a modern look.Otherwise, the slim design makes it easy to store in any kitchen cabinet ordrawer. 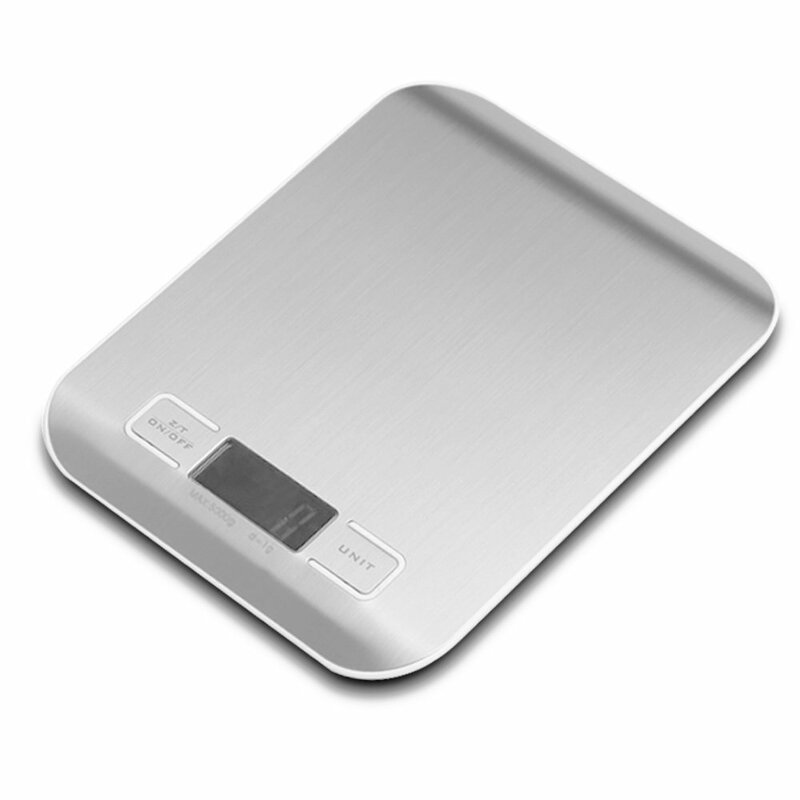 Although the scale is slim, it maintains the durability to withstandup to 11 pounds of weight. When the capacity is surpassed, the scale willalert you with a safe overload indication. Whether you're a beginner or aseasoned chef, this digital scale has the simplicity and practicality tocreate the perfect kitchen creations.